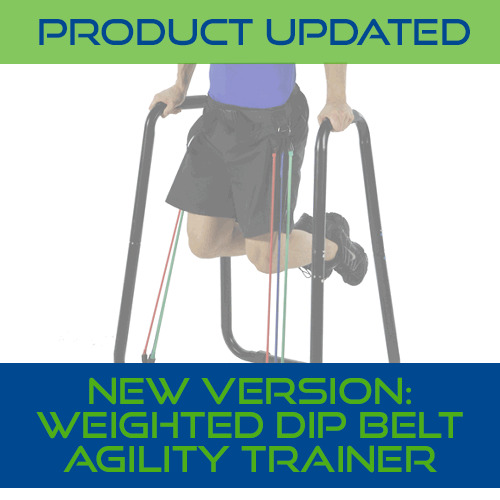 For the first time ever you can use our dip belt to add resistance to your chest or tricep dips without using weights. 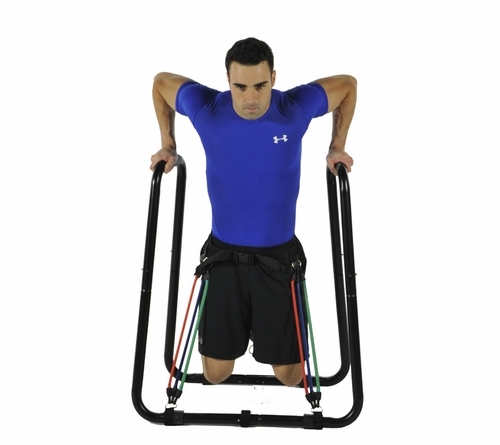 Simply snap the bands between the dip belt and the velcro dip bar anchors, and you are ready to get ripped. By adding up to 60 lbs of elastic resistance, you increase the intensity on an already-killer dip exercise. 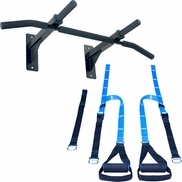 Now you can build tremendous upper body strength right at home without having to devote half your house to bulky strength training equipment. Want even more intensity and variety? Use the included Core Strength Ankle Straps to increase resistance during knee raises for supreme lower abdominal conditioning. Never again do knee raises the old way—using a bulky weight machine or hanging uncomfortably from a pull-up bar. With the Core Strength Ankle Straps you can take full advantage of this #1 abdominal exercise from a very natural standing position. All together the Dip Belt & Core Strength Accessory Pack will help you get a bigger chest, stronger triceps, a slimmer waist line, and improved sports performance. 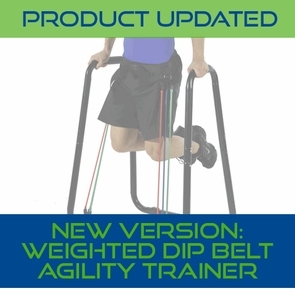 Dip Belt & Core Strength Accessory Pack5rommelSeptember 1, 2014Shipment was lightning fast! Great product! Now I enjoy doing my workout at my own free time with privacy at home! I love it!!! 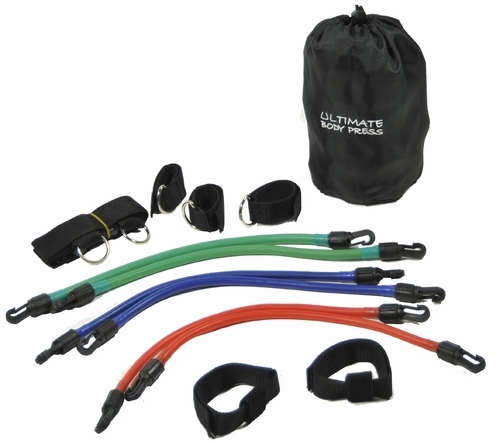 Dip Belt & Core Strength Accessory Pack5JeffJuly 23, 2012This is fantastic, great bit of kit! We ordered on the Wednesday and it arrived Friday Morning, Brilliant Service! Easy and simple and can abolutely feel the difference! Question: What is the resistance (i.e weight) of each individual band? Question: shipping to 34135 costs? Answer: Shipping to most places in the US is $6.95. HOWEVER, to find accurate shipping rates please add the items you wish to purchase to the shopping cart then click "Proceed to Checkout". Enter your address, choose your shipping method and click "Apply". You will not be asked to enter payment information or even your email address. Make sure the items in your shopping cart are marked "- Europe" and choose the Shipping Method "Shipping - Europe". If you have any more questions about shipping rates please email us using our "Contact us" page. Question: What cost shipping to Europe (Netherlands)? Question: is this now available? Answer: Only with the small dip bar. Question: I'm from Canada and would like to order this product. Has the back order been lifted as it is now January 22? Thanks. Answer: You can purchase now. Question: I bought the dip belt that came with the bands not long ago. I am having trouble figuring out how to set up the celcro anchor straps with D rings with the other supplied materials that came a along with my order. I can't figure out how to arrange the bands to connect to the belt and other stuff. Can you please explain differently or perhaps do you have an online video on how to set up? Thanks. 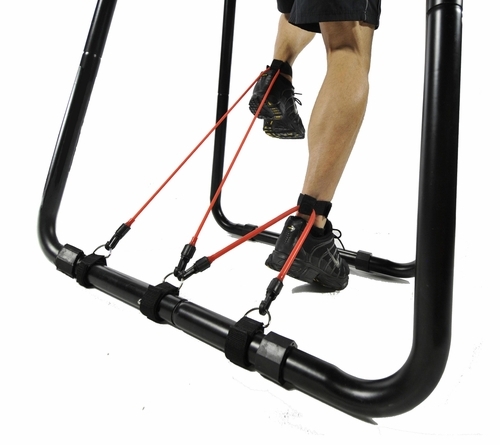 Answer: Weighted dips requires two velcro "D" Rings attached the a crossbar of the dip station and the dip belt. 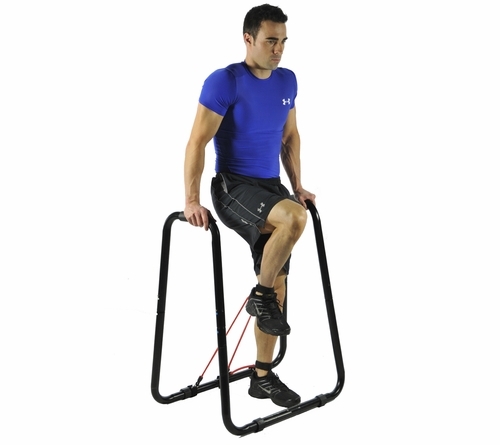 Resistance knee raises require 3 velcro "D" Rings and the ankle straps with neoprene.Here is a link to the descriptions of the resistance dips and to resistance knee raises. If you need anything else, please email us using the "Contact" page. 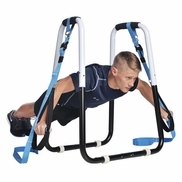 Question: Would this equipment also be able to be used as a chin up assist? I am starting to work on one arm chins, and this seems like it would be a great training aide. Answer: This product is not designed for that purpose. We can recommend using our push up rings. Just use one hung down to chin height and keep you feet on the ground to use as support as needed. Question: I recently bought a kailo dvd and home gym package. What else do I need besides the dip belt? 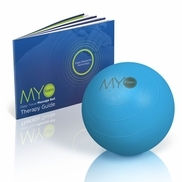 Answer: The Kailo DVD and Home Gym has everything you need to complete the dvds included. If you are looking for additional items, we highly recommend the sandbag. Question: According to the info, the ultimate body press dip stand has a maximum weight capacity of 350 pounds. 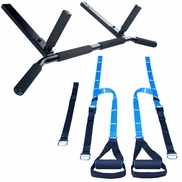 When I use my own bodyweight, a weight vest, and the resistance bands I purchased from this site, I want to make sure it does not exceed the weight limit. My question is when I add the weight of each resistance band I put on which is decribed as 5 pounds for red, 10 pounds for blue, and 15 pounds for green, is it really that straightfoward to simply add the weight of each band I put on and then see if it exceeds 350pounds? In other words, is the 5, 10, and 15 pounds for each of those color bands that maximum weight I should add to see if the 350 max is not exceeded? I notice that the resistance of the bands is more minimal when I lower myself. Does that mean that the weight resistance of the bands only applies when I push myself up? Thanks again for your help. Answer: The resistance provided by the bands reaches the specified amount when the band is stretched to twice it resting length. Answer: This page is just for the belt and bands. It does not include the dip bar.